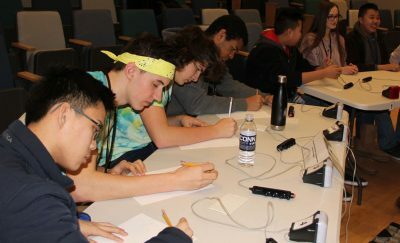 The winning team from Ledyard High School was comprised of (left to right): Coach David Bednarz; students Josephine Mitchell; Matt Blendermann; William Burns; Lauryn Lu; and Eric Banach. Groton – From morning through mid-afternoon the teams from Ledyard and Glastonbury high schools fielded questions about the anatomy of fish and whales, ions in sea water, sonar technology, the hydrological cycle, marine explorers, the causes of tsunamis and dozens of others related to all things oceanic, from science to literature to geography, history and policy. 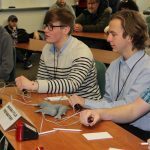 They had bested 14 other teams from Connecticut and Rhode Island through eight rounds of timed competition, requiring rapid recall of math, physics, chemistry, marine biology and climatology as well as a quick trigger thumb on the buzzer. 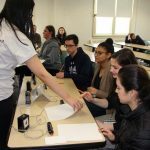 In the ninth and final round of the 21st annual Quahog Bowl on Feb. 3 at UConn Avery Point, the two teams stood neck-and-neck until the last question. 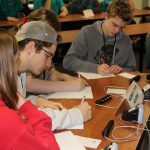 The 70 students eliminated in earlier rounds, along with 16 coaches, 50 volunteers and dozens of parents gathered in the auditorium to see whether the Ledyard team would repeat as winners for the second year in a row, or if the underdog Glastonbury team would edge them out. Members of the Glastonbury High team confer with their coach during a break in the final round of the Quahog Bowl. 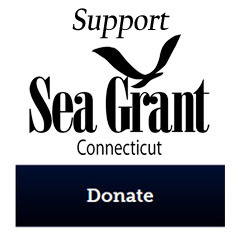 In the end, the Ledyard team won 52-50 over Glastonbury, the third year in a row of a “crazy close” finish to the competition, said Diana Payne, organizer of the Quahog Bowl and education coordinator at Connecticut Sea Grant, the lead sponsor of the event. 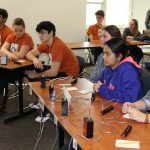 It is one of more than two dozen competitions held across the country each year as part of the National Ocean Sciences Bowl, which will culminate in Boulder, Colo., in April when the regional winners will face each other. “We came here not expecting to do that well today,” said Lauryn Lu, one of the members of the Ledyard team. “A decent amount of this was sheer dumb luck,” added fellow team member Matthew Blendermann. The team had just one returning member from last year, but had been meeting after school since September to drill content and contest rules. 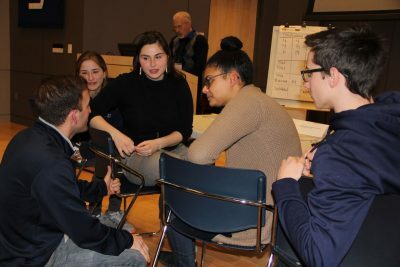 David Bednarz, science teacher and coach of the Ledyard team, attributed the win both to getting questions that “went our way,” and to the broad base of knowledge of the team members. Students on the team have taken advanced courses in marine science, biology and physics, among others, he said. “Having that depth really helped,” he said. The second place Glastonbury team was also pleased with their showing. The school had sent teams to the Quahog Bowl eight previous years. Coulibaly’s mother, Julie Donahue, said preparing and competing for the contest has been a perfect complement to her daughter’s interest in marine science and plans to study marine biology in college next year. 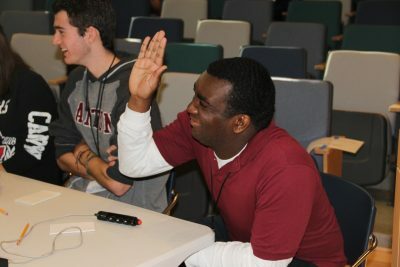 Canton High team member Jadyn Ide-Pech raises his hands to challenge the answer to a question about the world’s largest island. 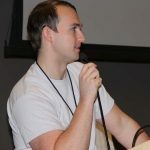 The regional competitions all use the same questions, Payne said, and science judges are present at each round in case answers are disputed. 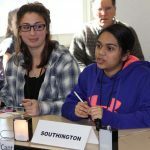 Only one challenge was mounted during the Quahog Bowl, from Canton High School team member Jadyn Ide-Pech. To a question about the world’s largest island, the team answered “Australia.” Moderator Rigazio said the correct answer was “Greenland,” because Australia is considered a continent. Ide-Pech raised his hand halfway. 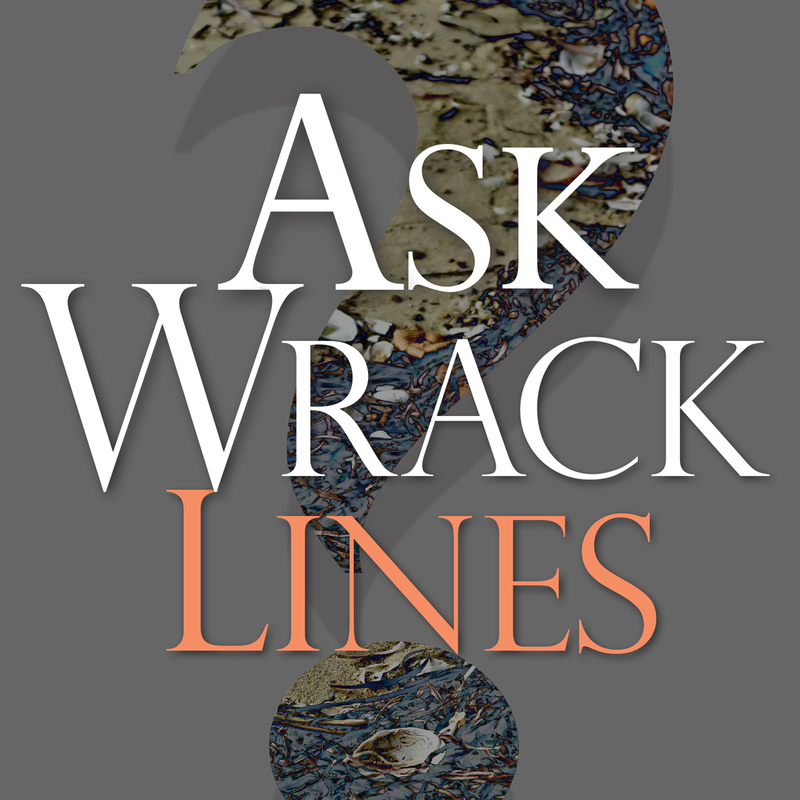 “Can I challenge that?” he asked, his tone soft and apologetic. Evan Ward, head of the UConn marine sciences department and Quahog Bowl science judge, left the room to confer with competition authorities. After a few minutes, he returned. “After passionate debate, we will accept Australia,” he announced, as Ide-Pech and his teammates shared high-fives. 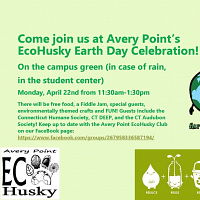 Three Rhode Island teams participated in the contest: one from Narragansett High and two from Cranston High School East. 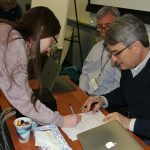 In addition to the Ledyard, Glastonbury and Canton teams, other Connecticut teams in the contest came from: Coginchaug Regional in Durham; E.O. Smith in Storrs; Marianapolis Prep in Thompson; Norwich Free Academy; Plainville; Southington; Waterford; Woodstock Academy and the Science and Technology Magnet High School of Southeastern Connecticut in New London, which sent two teams. Each team was comprised of four members, with some including alternate members. 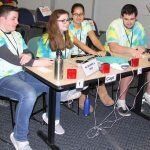 Members of one of the two teams from the Science and Technology Magnet High School of Southeastern Connecticut tackle short-answer questions during the Quahog Bowl competition. 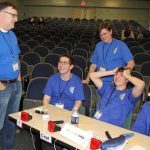 During a break in the sixth round of the competition, members of one of the Science and Technology Magnet teams huddled with their coach to hear reminders about staying focused even as they were clearly enjoying the excitement of the moment. They had just gotten through a tough series of questions about the osmoregulation process in fish, ocean acidification and salinity calculations. 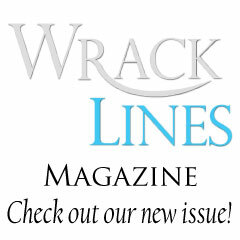 The team had only formed a couple of weeks before the contest, so hadn’t expected to get as far as they did. “It’s definitely a learning experience, a real competitive atmosphere,” said team member Chris Bowen. 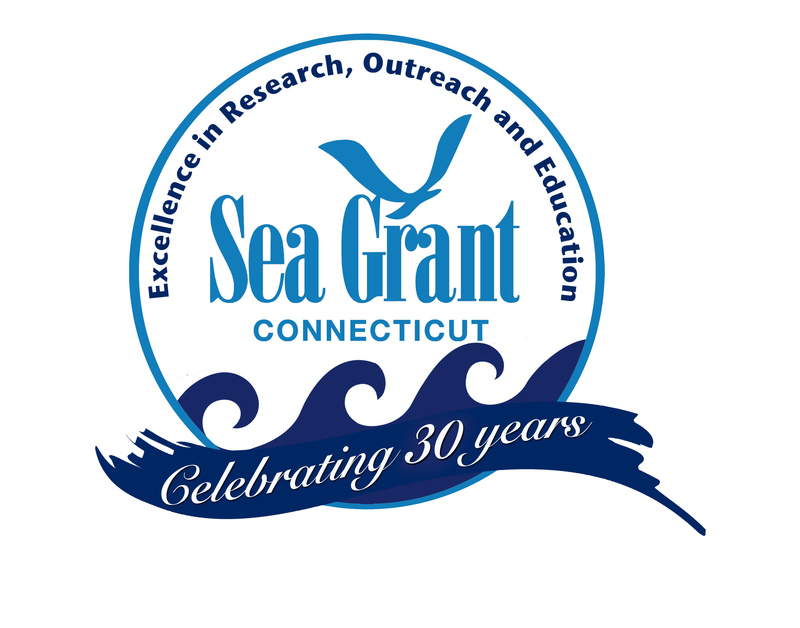 Along with Connecticut Sea Grant, sponsors include: the Consortium for Ocean Leadership; UConn Avery Point; Mystic Aquarium and Institute for Exploration; Mystic Seaport; the Maritime Studies Program of Williams College and Mystic Seaport; the Sea College Association; and more than 20 nonprofit groups and businesses in Connecticut and Rhode Island. Sophie Smyth, captain of one of two Cranston High East teams, signs to verify the results of an early round. Teams from E.O. Smith High, left, and Southington compete. The second place-winning Glastonbury High team prepares for the short-answer portion of the contest. 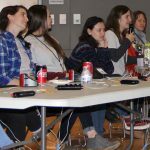 A panel of URI and UConn graduate students gave college advice and answered questions from Quahog Bowl participants. Joe Langan, a PhD student in biological oceanography at URI, talks to Quahog Bowl participants. 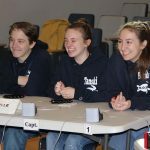 The team from Ledyard High School won its second consecutive Quahog Bowl. 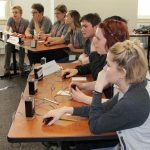 Students from Marinanapolis Prep in Thompson compete in an early round of the Quahog Bowl. 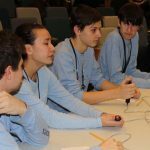 Members of one of two teams from the Science and Technology Magnet High School of Southeastern Connecticut take a break before the next round of questions. Members of the Plainville High School team share a laugh between rounds. Members of teams from Norwich Free Academy, left, and Woodstock Academy, compete in an afternoon round. Norwich Free Academy team members compete in the timed short-answer portion of the contest. Waterford High team Coach Michael O’Connor confers with students during a break in the competition. 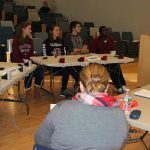 The Canton High team competed against Plainville High in the first round. Members of the Southington High team await the next question in competition. 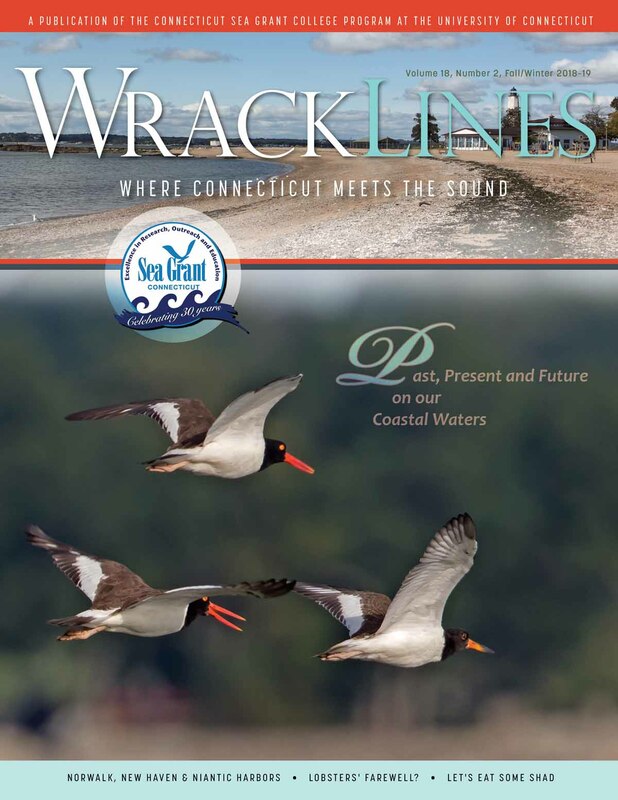 This entry was posted in Education, News and tagged Education, Events, Quahog Bowl, Sea Grant.